Hardcover, blue. Issued in accordance with Part-FCL. Appropriate for the record of flying experience in helicopters, aeroplanes, touring motor gliders, powered-lift aircraft and airship. 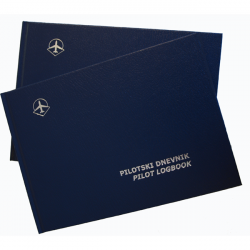 The European Pilot Logbook is meant to stick with you for the long haul. 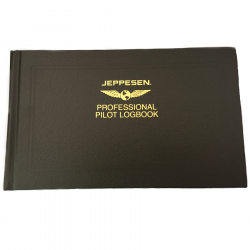 This all-new version of our most popular professional logbook complies with JAR regulations for logging flight time in Europe. Plus, it includes simplified pilot and aircraft annual summaries that can handle 10 years of data and is made with archival paper for long-term record keeping. This quality Jeppesen product will be a great addition to your flight bag. 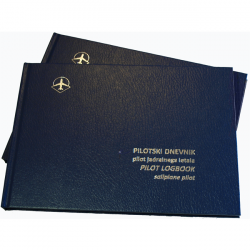 With superb craftsmanship, pages that hold up to 10 years of data, the Professional Logbook (non-EASA) has become a tried-and-true favorite of aviation professionals. With superb craftsmanship, pages that hold up to 10 years of data, it's no wonder why this logbook has become a tried-and-true favorite of aviation professionals. Its design matches that of the Airway Manual binders, and it includes simplified pilot and aircraft annual summaries. This tried-and-true favorite of aviation professionals can hold up to 10 years of data. 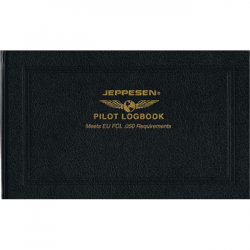 6 3/4" x 11 1/4"
With superb craftsmanship, pages that hold up to 10 years of data, and gold strip for a personalized touch, the Private Pilot Logbook has become a tried-and-true favorite of aviation professionals. 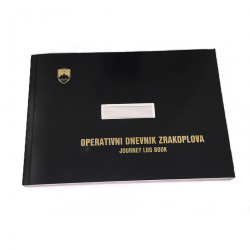 Crafted with durability and a highly-functional design, our Private Pilot Logbook has become an industry standard - made to go the distance. Large flight-time spaces arranged in accordance with FAA regulations and 520 flight entries ensure plenty of note-taking. And "easy-on-the-eyes" green pages resist ink bleed through. Bound in a scuff-resistant cover. Appropriate for the record of flying experience in sailplanes, powered sailplanes and TMG.